Clarinetist Selimi and vocalist/violinist Hafize were brother and sister, coming from a long line of famous musicians from the city of Leskovik at the southern border of Albania. 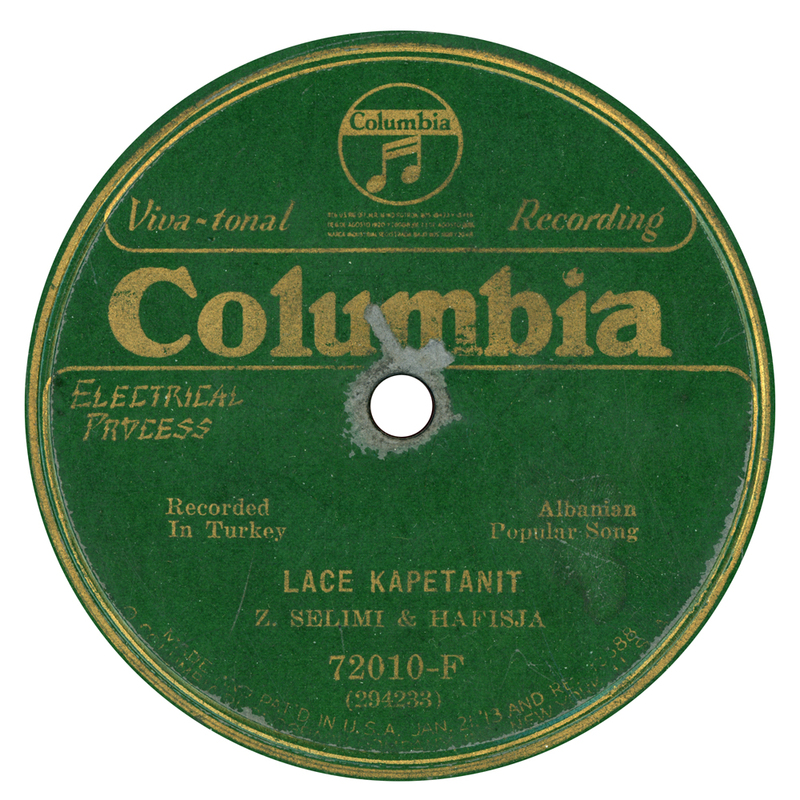 By the mid-1920s they were living in Istanbul where they were the star attractions of the Albanian music scene. 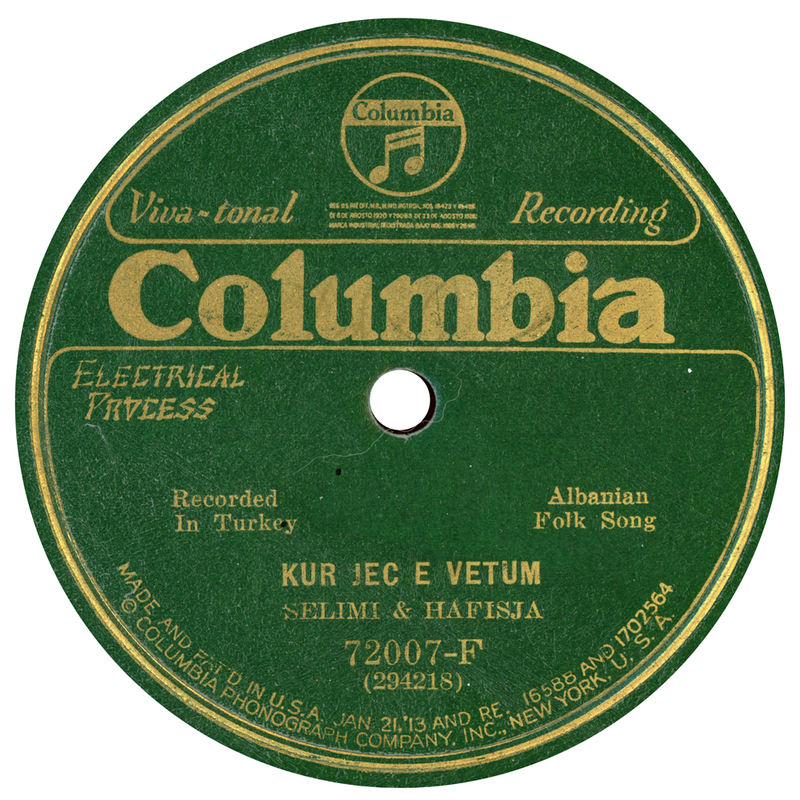 Selimi and Hafize recorded for Columbia during a session in Istanbul in 1928. 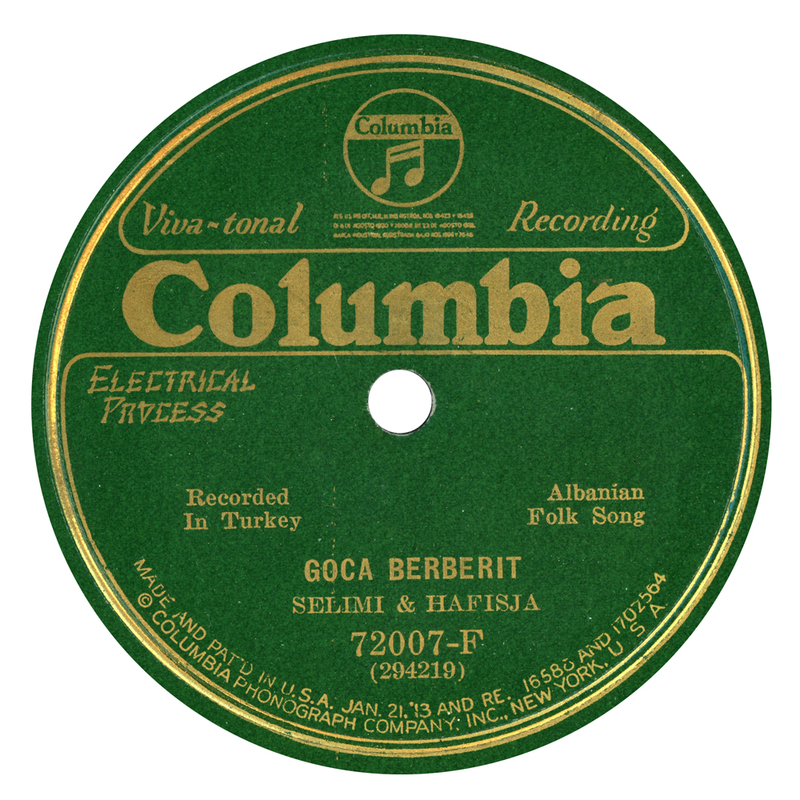 Columbia made some 300 recordings the following year in Albania itself. To this day, the beautiful deep voice of Hafize is considered a benchmark for female Albanian singers of the southern repertoire, and Selim’s reputation as a clarinetist is highly regarded. One of my favorite recording artists in any genre is the Greek accordion player Andonis “Papadzis” Amiralis (1896-1959). 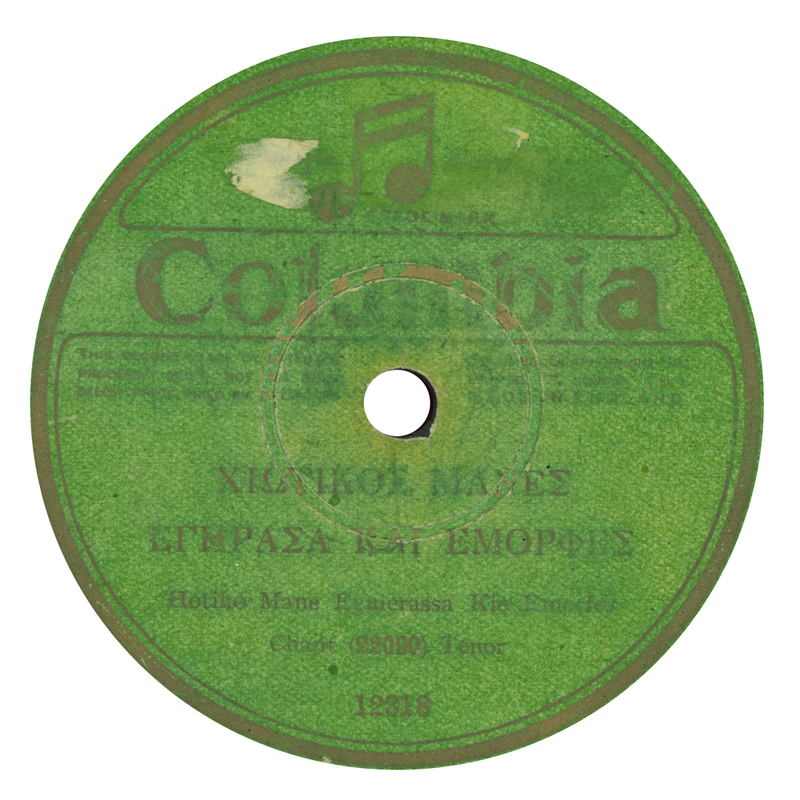 Papadzis was born in Smyrna, like so many of the best Greek musicians of the time. In addition to accordion, (“armonika” in Greek), he played several string instruments. He recorded many instrumentals, with guitar accompaniment, in the 1920s and 1930s, and also recorded with well-known singers of the time, such the legendary Dalgas. His style is highly ornamented, as was the common approach at the time. Contemporaries such as Yangos Psamatianos and Michalis Trimis use a similar approach. The accordion became a regular part of rebetiko ensemble later, in the 1940s and 50s, but the style was a simpler, more modern approach. First up are two classic zeibekika. The zeibekiko is a dance that was originally associated with the Turkish Zeibeks, and later became a staple of the rebetika repertoire. The zeibekiko is played in 9/4 rhythm, which gives the melodies an unusual loping quality. The Bohoris is an “easy mark”, according to Tony Klein’s Mortika cd. O Bohoris was recorded in 1932. This record, attributed to “G. Kourtis,” is almost certainly a dub from an early Victor of Papadzis. 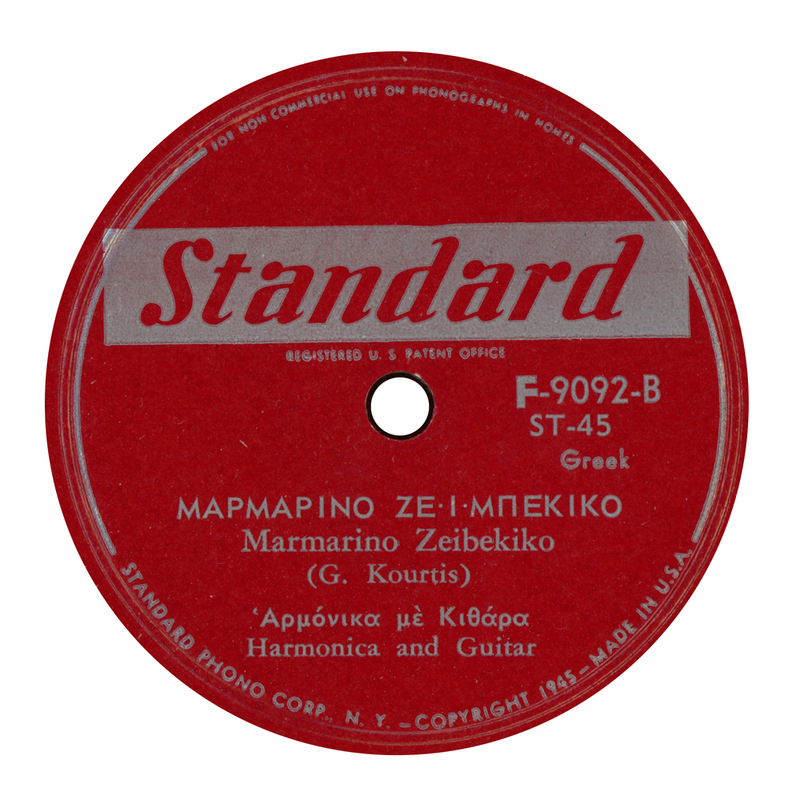 The Standard label was started by the Tetos Demitriades. The syrto is a 4/4 dance, one of the most common found in Greece. 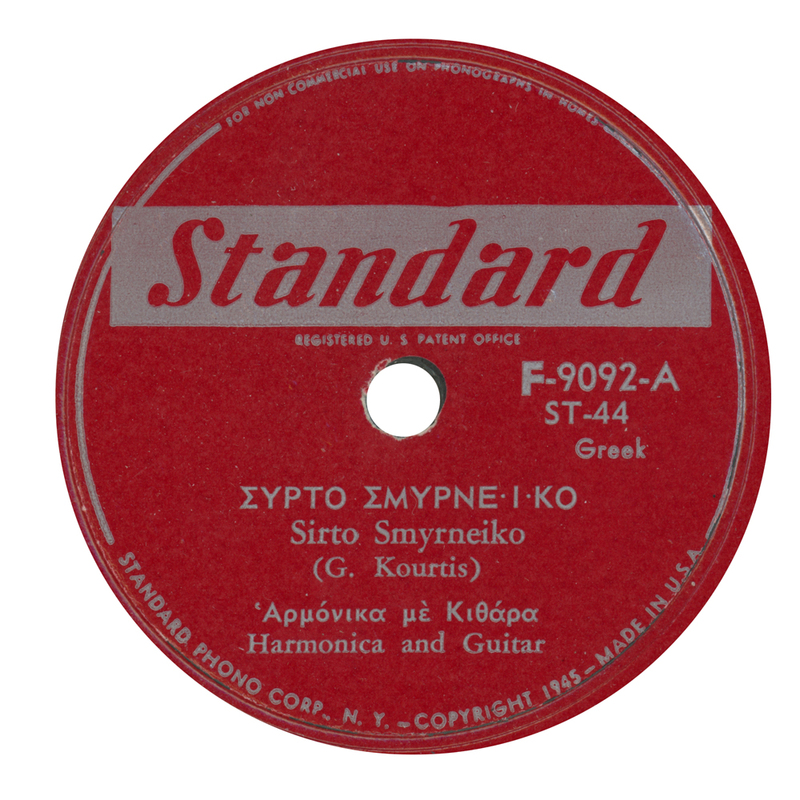 The syrto has many varieties, and this one’s title suggest it originates from Smyrna. In contrast, here’s a “kalamatiano syrto” from 1929. After Papadzis, the next well-known accordion player is Yangos Psamatianos. He didn’t record as much as Papadzis, at least under his own name. Here he is playing a manes. It’s not an instrumental, but a modal improvisation on both accordion and vocal. This was recorded in 1929. Here are a couple Victor sides from 1909. I have no idea who the accordion player is on these records. Another lingering mystery is the question of what kind of accordion is being played on these recordings – piano or button style. Compare the sousta to the version I posted here. Have you gone through a rebetika obsession yet? It happens all the time. 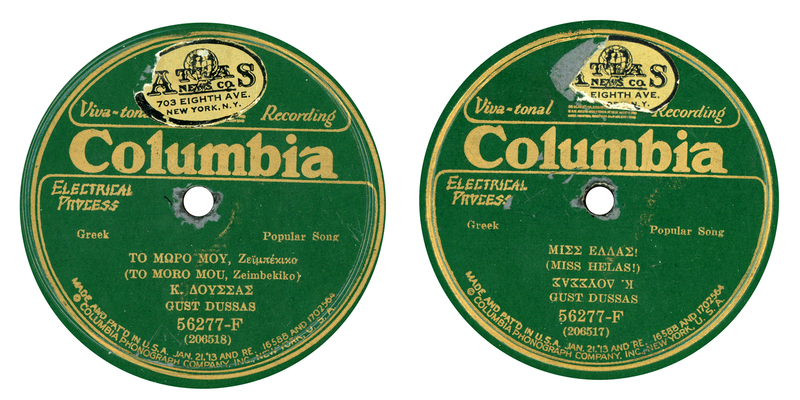 People stumble on this old Greek music from the 1930s and become completely obsessed. If you have not had the bug yet, do yourself a favor and get on it. Rebetika is definitely one of the musical treasures of the Twentieth century. Just one of the many distinctive aspects of rebetika music is that it is without a doubt the first example of psychedelic popular music. 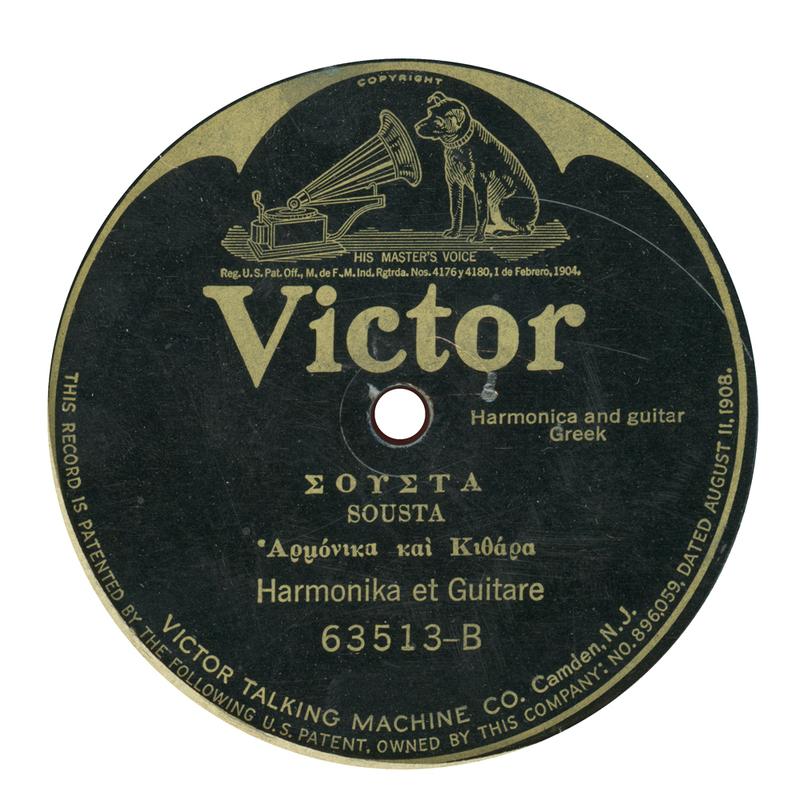 Rebetika was often played for stoned listeners, by musicians who were smoking hashish, with the music intending to compliment the effects of being high. Additionally, the subjects of the songs often revolved around hashish, being stoned, or the world in the which these Greek stoners lived. 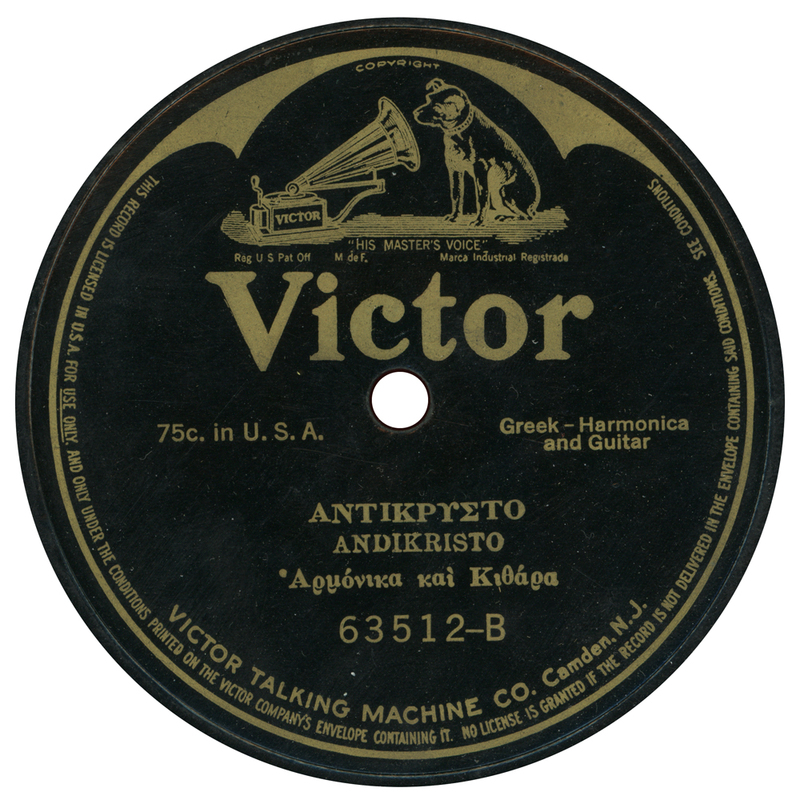 Of course, Greek recordings from the 1920s and 1930s were varied and complex, not all the singers were hash smokers and not all the songs concerned hashish or other underworld topics. The music was not even consider a genre at the time, and wasn’t referred to as “rebetika” until long after the genre had morphed into a more popular, mainstream style. 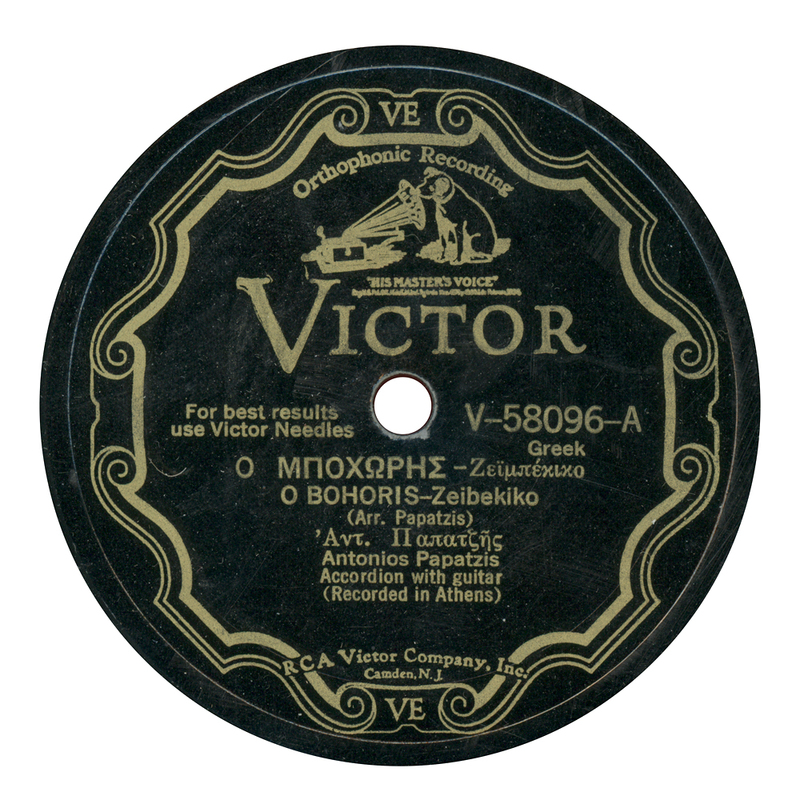 There are plenty of great reissues of Greek 78s that give detailed histories (see Mortika, Greek Rhapsody, or any of the cds produced by Charles Howard for Rounder records). So rather than discuss the details of the influence of Smyrna or the dichotomy between upper and lower class musicians, I want to give a brief introduction to one of the coolest and unique subsets of early rebetika recordings – the solo guitar. Rebetika is usually associated with the bouzouki, the long-necked lute that was popularized in the early 1930s by recordings of Jack Halikias and Markos Vamvakaris, among others. While other instruments sometimes took center stage, such as the violin or the accordion, the guitar was generally used as a simple back-up, rhythm instrument, with the exception of a large number of recordings made by Spyros Peristeris playing the guitar as a lead instrument in place of the bouzouki, and using a general “bouzouki style.” But there were a handful of artists who recorded songs played on solo guitar in a manner that calls to mind some American folk and blues finger picking styles. By far the most legendary is the mysterious “Kostis.” Many rebetika researchers believe that Kostis was a pseudonym for Konstandinos Bezos. Bezos was something of a renaissance man. He was the leader of a successful Hawaiian ensemble made up of Greek musicians (Ta Aspra Poulia = The White Birds), a journalist, actor and more. It’s not certain if Bezos composed the Kostis recordings, of which there are ten songs and two instrumentals, or if he is the guitarist or singer heard on the recordings. The whole detective story is outlined nicely in Tony Klein’s Greek Rhapsody. Kostis was the most enigmatic, but the most prolific rebetika solo guitarist was undoubtedly Giorgos Katsaros. The majority of his recordings were solo guitar pieces using a two-finger method of picking, in a variety of tunings. Katsaros was born on the island of Amorgos in 1888 and emigrated to America in his teens. 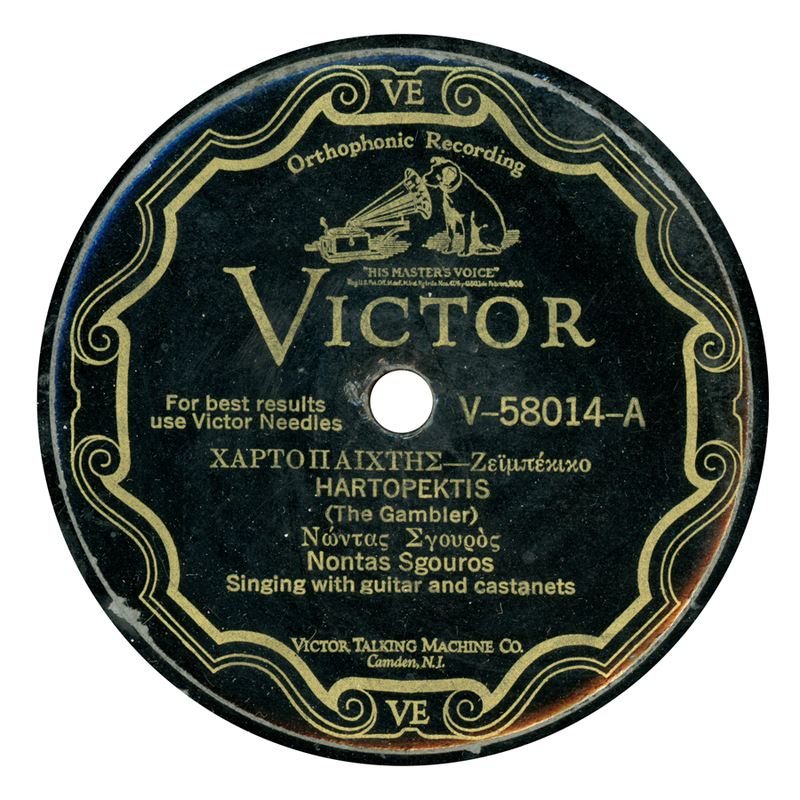 Like many well-known rebetiko singers, he recorded more than just underworld songs. His style is very personal and idiosyncratic, with occasional pauses and time changes that are not usually heard in Greek music. He continued performing well into his 90s. 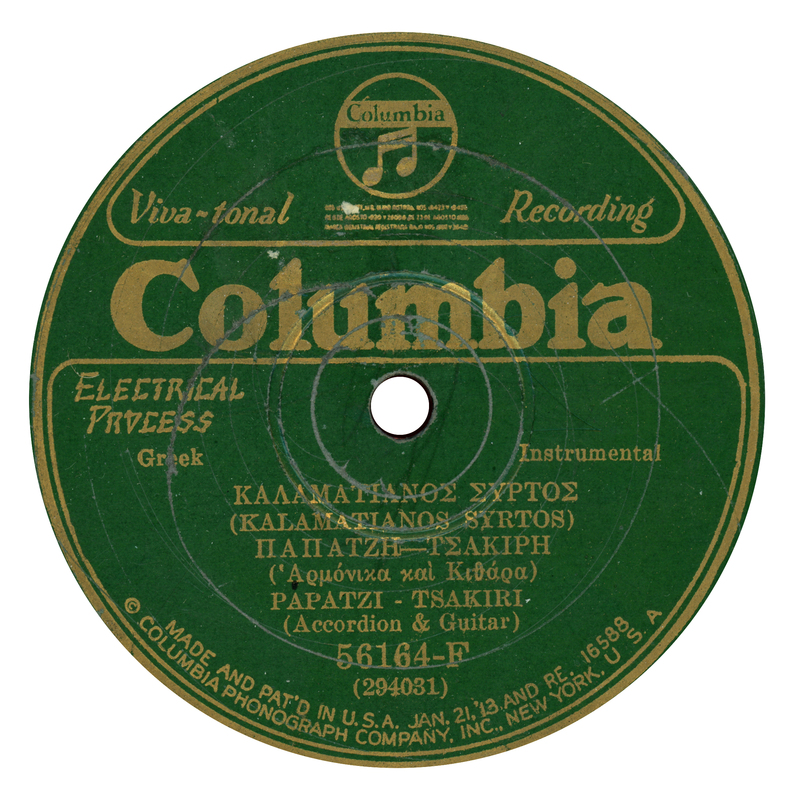 Another Greek-American guitarist was Kostas “Gus” Dussas (1897-1949). Dussas may have lived in Chicago at some point, but ended up in Lodi, California, where there was a substantial Greek community. He recorded 18 songs during the 1930s. Nondas Sgouros was one of the pseudonyms for Tetos Demetriades. Recorded January 8, 1929. Demetriades was a monumental figure in the history of the early Greek record industry. He recorded a huge number of records in almost every style of Greek music and was also deeply involved in Victor records as head of their international division. In 1940, he left Victor to start his own label, Standard Records. Another claim to fame: he recorded the first version of the song Misirlou in 1927. This record is an excellent example of a song that has the underworld sound and themes and yet is clearly performed by someone who did not actively live the rebetika lifestyle. I’m not sure who is playing guitar on this recording.